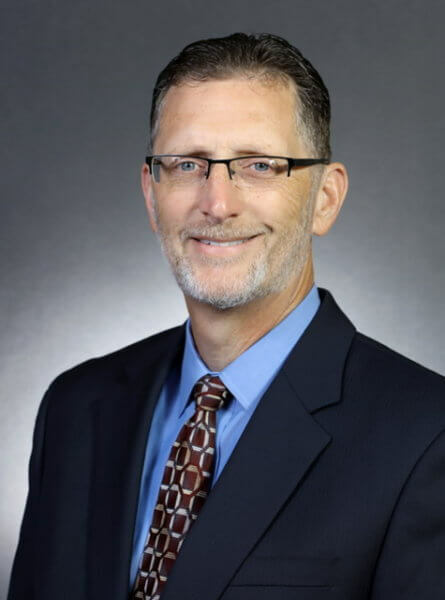 Ron Hogan, CPA, MBA joined The Carpenter Health Network in 2018 as Chief Operating Officer, bringing 30 years of expertise and experience in operational, financial, and strategic leadership to the organization. As COO, Ron provides the leadership, management, and vision necessary to ensure that The Carpenter Health Network has the proper operational controls, administrative and reporting procedures, and people systems in place to effectively grow the organization and to ensure financial strength and operating efficiency. He also provides oversight and direction for the planning, development, and execution of programs and services designed to provide clinical excellence and exceptional service experiences that create value for the patients/families, referral sources, payers and communities served by The Carpenter Health Network. As COO, Hogan works in collaboration with the CEO to develop strategic business plans that focus on innovative care delivery, service growth and revenue opportunities. My mission is to passionately engage my God-given gifts and experiences toward ensuring that Carpenter Health provides highly efficient, best-quality services to our patients and their families, Hogan says. Ron received his BBA degree in Accounting from Delta State University where he played baseball for four years as a pitcher, and was voted Division II First Team All American in 1988. Subsequently, Hogan earned a Master of Business Administration degree from University of Louisiana-Monroe. Hogan’s 30-year career has encompassed healthcare, higher education, and public accounting, including key financial roles in major healthcare provider acquisitions and developments of new clinical service lines. Prior to joining the leadership team of The Carpenter Health Network, Ron served as Chief Administrative Officer for University of Louisiana-Monroe, where he provided project leadership for ULM in its efforts to partner with an established college of osteopathic medicine and served on the ULM Executive Council and as executive leader for multiple departments. Additionally, Hogan served as Regional Chief Financial Officer for three years at Franciscan Missionaries of Our Lady Health System, Louisiana’s largest Catholic healthcare organization. Hogan also worked as Senior Vice-President and Chief Financial Officer for St. Francis Medical Center in Monroe, LA, where he held additional executive finance and operations roles for 18 years. Ron is a member of the Healthcare Financial Management Association, Louisiana Society of Certified Public Accountants and American Institute of Certified Public Accountants. Ron and his wife, Sabrina, reside in Monroe, LA. They enjoy family recreational time, water sports and basketball. They have six children, three grandchildren and are expecting a fourth grandchild.